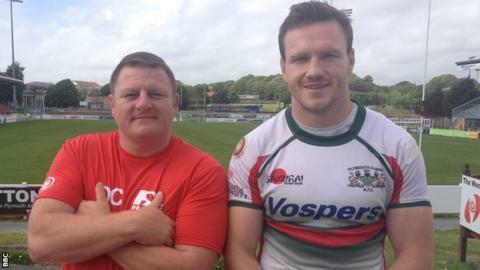 Back-row forward Iain Grieve is among seven departures as Plymouth Albion prepare for life in National One. Prop Tom Fidler will also be leaving Brickfields, while backs Toby Howley-Berridge, Lewis Warner, Mark Kohler and Josh Davies will all be moving on. Albion's longest-serving player Ruairi Cushion has also exited the club, as he announced in January, after six seasons with the Devon team. Graham Dawe's side have also lost four players to Nottingham this week. "I would like to thank all the players who are leaving the club for their commitment and efforts," Dawe told the club website. "It's always disappointing when players move on but I wish them all well for the future." Cushion had taken on a player-coach role at Albion this season as their 13-year stay in the Championship came to an end with relegation. "I would particularly like to thank Ruairi Cushion, who over the last six seasons has made a significant contribution to Plymouth Albion," added Dawe. They will soon announce which members of the current squad have been offered contracts to stay at the club in the third tier next season.